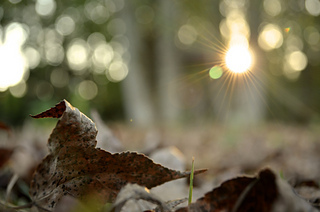 Cascades of leaves swirl to the ground, announcing autumn’s breath stirring. 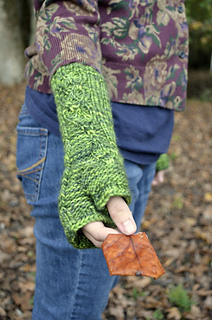 Each leaf takes a different journey, winding around and crossing paths with others. 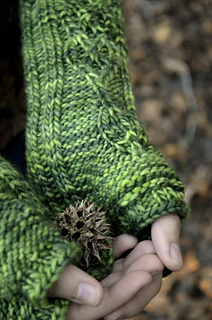 It is an intricate dance that never fails to enchant me with its simplicity and symbolism. 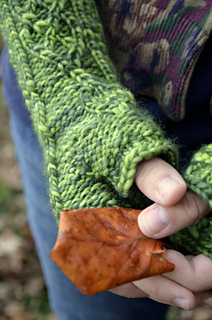 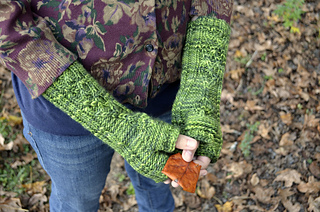 These gloves, both knit the same way for ease, are a fun project when the autumn knitting bug bites—or any time you wish to knit something with a touch of nature in it. 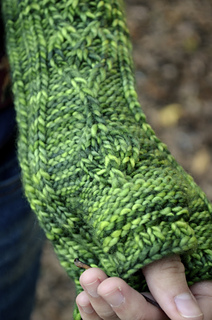 Ribbing along the edges prevents rolling, and the cables are quick and simple to craft. 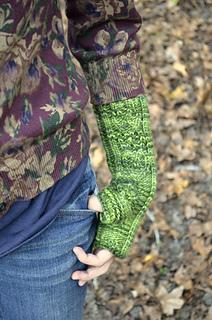 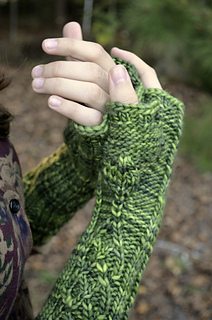 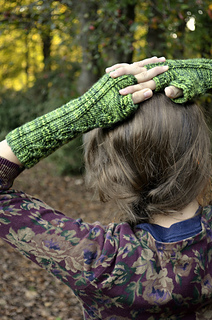 A gusseted thumb makes for a comfy fit, and the leaflets are what inspired me to design the pattern in the first place. 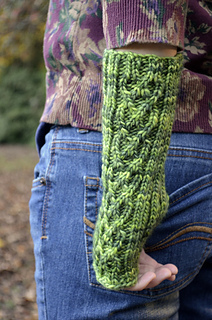 The cuff can easily be lengthened if desired and still be a 1-skein project.